The turbulent global economy has left investors in a limbo about where to park their money. Debt & equities have become more risky (especially retail) owing to the highly volatile financial markets. Similarly, gold, the yellow metal is also out of the reach for most investors because of its sky rocketing prices. But, amidst all this financial chaos, investors have one save heaven to look at, and that is diamond jewelry. For those who are still unaware about the rising role of diamond stones as investment preference here’s some points for you. 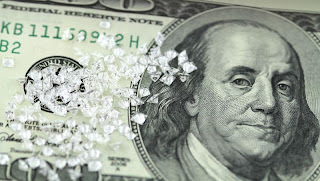 Sales figures for diamonds reveal that approximately 30% of them are used in jewelry and 70% are bought as investment. Most of the retail investors commit folly right at the beginning when they purchase diamond jewelry (for investment purpose) at high rate with a viewpoint that further amplification in rates will bear them more profits. Some benefit but others (most of them) aren’t able to find takers and have to sell their jewelry at discounted rates resulting in loss. Therefore, always purchase at a price at which you will be able to make a resale. It’s good to invest in diamonds for the amount of profits the investment in likely to yield. But, ensure that the quality of the diamonds meets some standard requirements. Always confirm the quality of the diamond jewelry using the services of an independent third party grading expert. It is important to maintain a good relationship with such an expert who can guide you throughout, about timing & quality of purchase and also handle your monetary transactions. One who invests in diversified investment products is likely to make more profits. Not only is it important to incorporate other investment types in the portfolio, but also assure that the diamonds you invest in diamonds that are likely to fetch you profits no matter what. For example the standard round cut diamonds will always have a ready market, whereas antique diamond shapes may have lower liquidity. The actual transaction cost of diamonds that also includes physical delivery of the jewelery can vary a lot from the quoted price (during time of purchase). Experts recommend to properly analyzing the bid/spread ratio associated with diamond jewelry as it is one of the most important factors in deciding the resale value of the purchase as well. Ultimately, it is the investor who has to take the final call. He should track the local market with respect to international rates too and decide accordingly. There are some other costs too such as value added price (VAT) and mark up cost that jewelers apply to the purchase and these can seriously make or break your decision. One should know what type of diamond he is buying and what are his expectations from the purchase in the long run. If he feels, the deal will do justice with his calculations then he should definitely go ahead otherwise there are plenty of other investment options too in the market. About the author: Steve Moskowitz is owner and writer for Kobemarkdiamonds.com, an online jewelry store. He’s lives in the United States and being a part of this industry since 1999 usually writes about halo style engagement rings and all other types of diamond jewelry. Theses are the best point need to consider while investing in diamonds. These are the must read points for any individual who wants to invest in diamonds.The point I like the most is " Keep your Eyes and Years Open " Surely, there are always some difference between the international and the local market for the prices. One should be in touch to their local market before investing in diamonds or engagements rings so that he or she can take information on VAT or other types of Taxes too. Hi Steve, all the points you have describe here are great and one must need to follow these steps if they are going to invest in diamonds. The point which I found more interesting and useful is “keep your ears and eyes open”. It is always good to look up in your local market because their may be difference between your local market and international Market. VAT also is a factor to consider while investing in side stone engagement rings or other types of jewelry. What an article, I must say great tips for to know how to invest in diamonds jewelry. Thanks Steve and keep doing great work. I want to see some more like this.